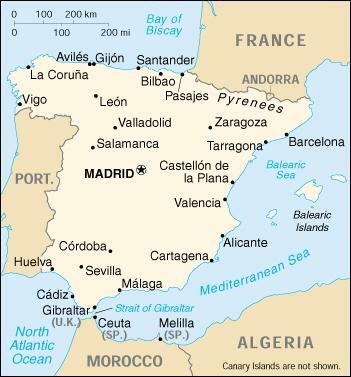 You can find more information on the capital of Spain by visiting our travel guide covering Madrid. You can find more information on this wonderful city in our guide to traveling in Barcelona. We have more information the great Andalucian city of Valencia. On the Northeast coast of Spain, the wild coast is situated in Catalunya. It is so named because of the rugged cliffs forming the majority of the coastline. 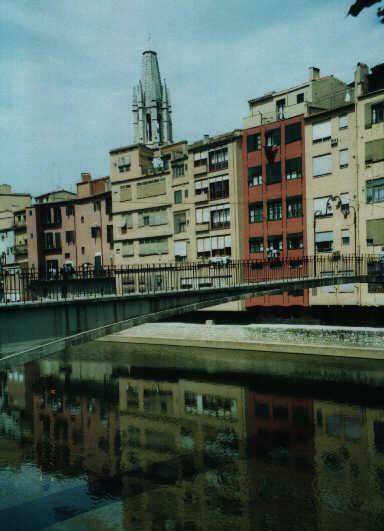 Gerona is an important economic centre in the area traditionally known as Catalunya and is dissected by the Onyar river. Gerona has a beautiful old quarter where the cobbled streets lend themselves to leisurely ambling. 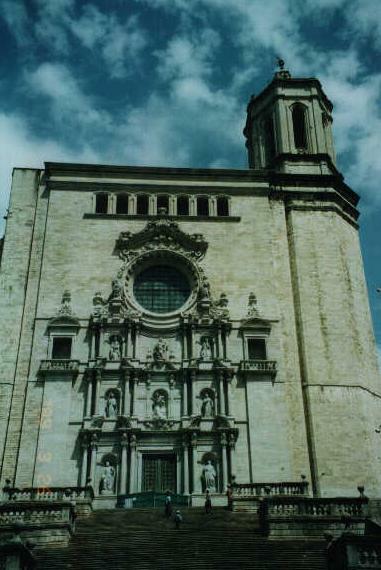 Among the sights are the Iglesia San Feliu, the Banys Arab (Arabs baths) and the impressive Cathedral of Girona. The Cathedral also houses a museum where you can see the Tapestry of Creation said to dated back to the 12th Century. Once you are done visiting the sites, you can quietly meander around town and make your way to one of the cafes or tapas bars located around Girona. The Banys Arab are located in a Romanesque building built in 1194 and the architecture is designed to look like Muslim Baths of the era. The government has run the baths since 1924 and helped restore the structure to its former glory. Iglesia San Feliu, dating back to the 14th century, and Iglesia San Nicolas, are both located near each other and the Banys Arab in the old quarter. Figueres is where Salvador Dali lived and approximately 1 hour and a half North of Barcelona. The town is renowned for it's museum bearing Dali's name and has a large collection of his works on display. About a half hour drive on the mountainous winding roads from Figueres, Cadaques is a coastal town with quaint cafés, beautiful views, the protected marine reserve at Cap Creus and a number of small stony beaches. The Costa Brava is a popular coastal destination for holiday makers seeking sun, sea and sand in the summer months. The seaside town of L'Estartit is 30 minutes from Gerona and boasts it's own harbor and a Marine Reserve encompassing the Medes Islands teeming with sea-life. In or around L'Estartit, you can go sailing, diving, kayaking, horse riding, go-carting, walking or just sit on one of the many beaches and soak up the sun. Around L'Estartit there is some of the best snorkelling and diving in the Mediterranean. The Medes Islands have been a protected Marine Reserve for over 15 years and the sea-life is abundant. Underwater you may be lucky enough to spot one of the large local Groupers. 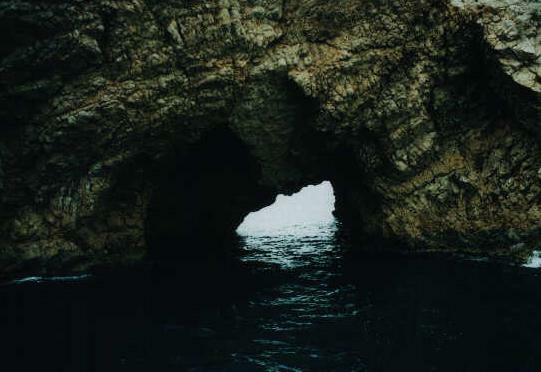 Be warned that the Medes Islands are a protected area so be careful what you do and how you do it. A good dive operator on the main beachside road in L'Estartit is Calypso Diving. Located in the Southern Spanish province of Almeria, Aguilas is a medium to large sized town on the Mediterranean coast. The town is a major summer resort for Spaniards from around the country and as such can get quite busy in peak season. The town itself has a waterfront boardwalk, a port and some decent shopping streets but other than that is not all that exciting. More interesting are its surroundings to the west. Calarreona itself is very small with little to do other than to enjoy its nice beaches and beautiful Calas, or coves. There are 4 Coves west of the town with wonderful beaches that each have their own snack restaurants. The beaches are clean and well protected from the winds, the sea life is abundant making snorkelling a pleasure and they each have extensive parking areas. 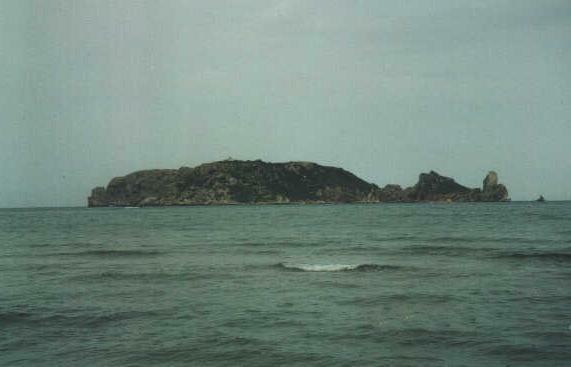 The most notable of these Calas is Cala La Carolina. It should be noted for families that these Calas have had small wading pools built and are suitable for children. La Manga and the Mar Menor are located in Southern Spain. 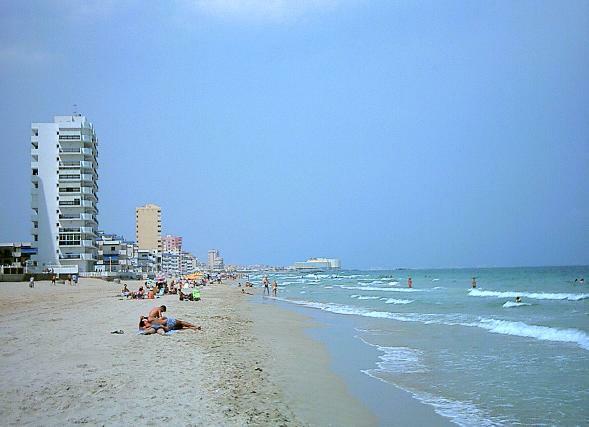 The La Manga beach on the Mediterranean stretches for miles and is very clean. The Mar Menor is a lagoon ideal to learn how to sail, windsurf and jet ski. La Manga itself is nothing more than a resort town with few attractions but the old town located to the west near the port has plenty of charm and quaint restaurants to enjoy a nice evening meal. Find out more about the Costa del Sol at www.visitcostadelsol.com. Read about the island of Ibiza with our Ibiza travel guide. Majorca, Menorca and Ibiza are a short ferry ride from the mainland or short hop by plane. These volcanic Spanish Islands in the Atlantic are a major tourist destination and a favorite among package holidaymakers. Find out more about diving in Spain on our Spain diving page. Ir de copas, is the Spanish expression for going out for drinks. Go late as the Spanish nightlife doesn't really get started until 11 p.m.
Spain has some excellent golf courses located around the country. This is one of the most commonly referred to types of dining in a Spanish style. Jamon Serrano, Patatas Bravas and a nice red wine or a caña (mug of beer) and you are all set. Bullfighting in Spain is a major sporting event. Although it may be cruel in some people's eyes, bullfighting is a Spanish tradition dating back hundreds of years. Matadors are in the same class as any sporting superstar in a major sport and can earn a fortune at the peak of their ability. Try a Mahou in Spain. Not bad at all, drink well chilled. A traditional rice and seafood dish served in a particular pan is absolutely delicious and well worth a try. Jamon Serrano is cured ham Spanish style. In a plain sandwich or bocadillo, add a bit of olive oil to liven it up a bit and compensate for the dry bread. Sangria is great to quench that thirst from a hot day of visiting or just relaxing. Made from wine, liqueur, orange juice, fruit and a few other ingredients, ofen customised by the mixer. Rioja is one of Spain's better known varieties of wine. This excellent nectar comes in red (tinto) or white (blanco). A type of Spanish sausage which can be dried or used fresh for cooking. Often served with bread, in a sandwich, cooked in red wine or just eaten alone as a tapas. The Spanish word for omelet, tortillas are a regular staple in the Spanish diet. They can be done in a variety of ways but the Tortilla de Patatas, potato omelet, is a safe bet and local favourite. Tapas is a particularly Spanish way of serving small bites or snacks. Often served with drinks in bars, tapas can consist of chorizo, cheese, olives, serrano ham and just about any other types of Spanish food. If you wish, you can make a meal of it. Don't be shy about it, go out for tapas and enjoy the ambiance, food and drink in a special Spanish tapas bar. Depending on where you go, you may even end up standing for your tapas meal. You can find excellent hotels all around Spain. Many of the main hotel sites will have listings for you in Spain. Find Spain Hotels. There are plenty of hostels and pensiones in Spain. Prices vary from hostel to hostel but are generally affordable. Search for and book a hostel in Spain. Find out about camping in Spain on our page about Camping in Spain. Located about 4 kilometers to the west of Aguilas and directly on the Mediterranean coast, the camp site is clean, affordable, has its own private beach, a store, bar and the restaurant is affordable. The plots are also covered with tarps providing both shade and rain cover. Paradors are state run accommodation since 1928 and are a fantastic environment to learn about Spanish culture, language, cuisine and history. Both Madrid and Barcelona have excellent transportation systems. The subway in Madrid is very good and most of the major sights in the city center can be accessed by foot from Sol station. There are numerous buses and trains running between cities and towns. This is the best way to travel around the countryside. There is an extensive train network throughout Spain that also connects to the rest of Europe. This is often the most economical way to travel. Spaniards are probably the most talkative people in Europe. They are extremely friendly and fun loving. Just go out at night and watch the city at play. Everyone in Spain understands Castellano Spanish, however, in Cataluna, the first language is Catalan. Many speak or understand other languages including French, English and Portugueses.